The Federal Government on Monday said it is engaging 200,000 agents under the Community Health Influencers, Promoters and Services (CHIPS) programme, Executive Director, National Primary Health Care Development Agency, Dr. Faisal Shuaib has said. CHIPS is a community-based programme whereby individuals with basic criteria would be selected by traditional institution to render first aid care and health education. The agents who must be residing within the community would be adequately trained would also be trained to stimulate residents to access health care in primary health care centres closest to them. The medical expert, who stated in an interview with newsmen shortly after the first meeting with Northern Traditional Leaders Committee on Primary Health Care Delivery in Kaduna on Monday said, the development became necessary because Nigeria is losing about one million women and children to preventable medical conditions. Speaking further, the NPHCDA boss said that “To reduce the deaths, the CHIPS agents will be living and working in their communities. For example, if there is complication around pregnancy, these CHIPS agents can raise alarm. It is all about reducing maternal and child deaths in the communities,” he stressed. He therefore urged the traditional rulers, ” to engage with their state government and other opinion leaders to ensure the success of the programme. “10 to 20 CHIPS agents are to be engaged per ward and if you multiply that by about 10,000 wards we have you will see it will be the largest network of community health workers in Africa. There is excitement on how this will benefit our communities”, he added. 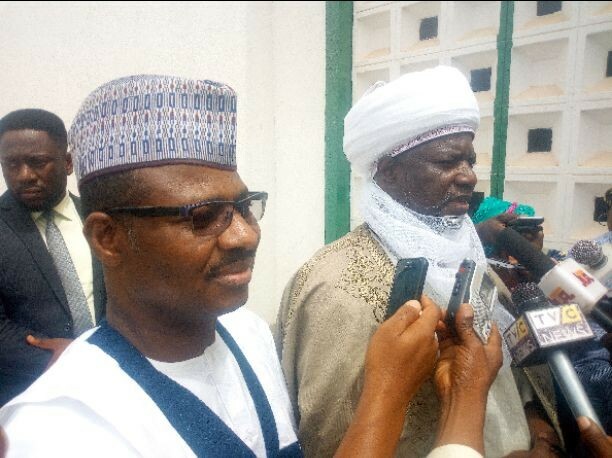 Responding on behalf of traditional leaders, Emir of Argungu in Kebbi State and Deputy Chairman, Northern Traditional Leaders Committee on PHC, Alhaji Samaila Mohammed Mera promised to make the programme work as envisaged by federal government and other interest organisations. “We have put the responsibility on the village and ward heads to select CHIPS agents based on capability. We told them we will hold them responsible if the programme failed under their watch,” he added.